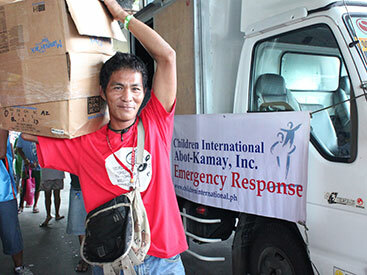 About 20 years ago, Gerardo – now in his 40s – worked for a printing company in the Philippines. He operated a machine that rolled paper into large spools. Gerardo was happily doing his job one day when he saw his coworker slip. In an instant, the man would be pulled into the rolling mechanism. Gerardo pushed the man aside, likely saving his life. But, in doing so, the machine seized Gerardo’s hand, pulverizing it. Gerardo survived, but he lost his right arm just above the elbow. 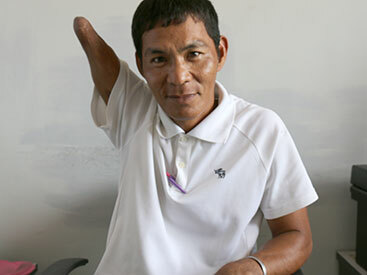 Before you feel sorry for him, though, you should know this: Gerardo thinks of his missing arm as a trophy. After all, he saved someone from death. And instead of slowing him down, this challenge has enhanced the quality of his life. Read more about how Gerardo serves as a role model and inspiration to his family and his community, and how he has continued helping others as a volunteer with Children International.